A first for DJ Khaled, his latest song "I'm the One" is going down in Billboard history after its first full week. 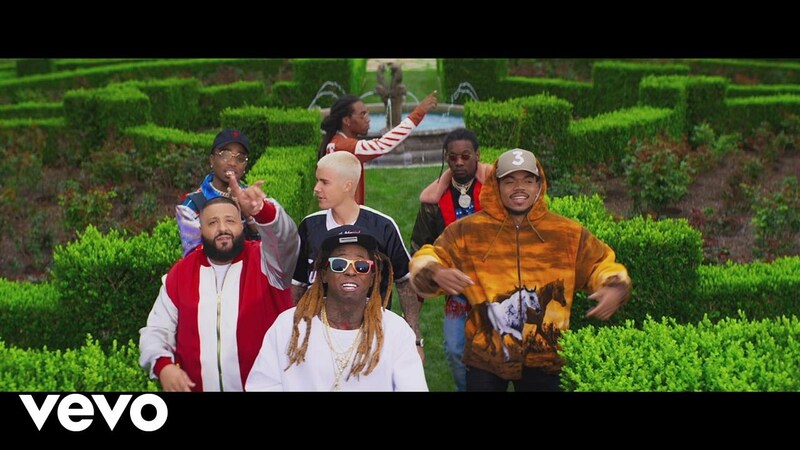 The track which features Justin Bieber, Chance the Rapper, Lil Wayne and Quavo of the Migos ("Bad and Boujee") is debuting atop the Billboard Hot 100 songs chart as reflected on the May 9 update. It marks the first time that DJ Khaled landed a No. 1 on the bow down of songs charts. "I'm the One" now becomes only the 28th song in the history of the chart which currently combines sales, streaming data and radio airplay. It follows Ed Sheeran's 2017 12-week leader which opened as the 27th song to debut at No. 1 on the Hot 100. DJ Khaled's chart topping track also claims the No. 1 spot on two of the formula charts as well. On Digital Songs, the track debuts with a strong 171,000 downloads while receiving 54 million streams through official platforms towards the Streaming Songs tally. Over on Radio Songs, "One" opens with 35 million impressions in the U.S., making its debut at No. 33. It should be noted that radio airplay is tracked Monday through Sunday versus sales/streaming being tracked Friday through Thursday. Of the five credited names on the song (which is the first time five names have debuted at No. 1), Justin Bieber scores his fourth No. 1 following "What Do You Mean?" (a song that also debuted at No. 1 on the Hot 100), "Love Yourself" and "Sorry." Lil Wayne adds a third No. 1 to his scorecard after "Lollipop" and "Down" as a feature on the Jay Sean track. Only two other artists in the 58 year history of the chart has had two songs open at the top. Mariah Carey was the first during the Daydream and Butterfly eras when "Fantasy" and "One Sweet Day" featuring Boyz II Men taken from the former would immediately crown the chart in 1995. Fast forward two years later after the success of Daydream, "Honey" released as the lead single from Butterfly became her third No. 1 opener. Britney Spears now joins Bieber for second place in that area with 2009's "3" and 2011's "Hold It Against Me." Charts are refreshed every Tuesday except in the event of a major holiday.